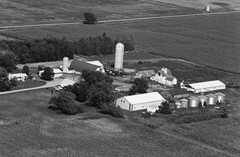 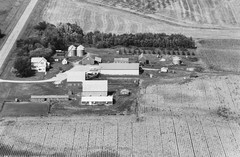 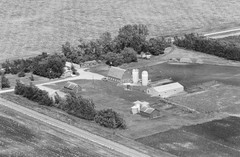 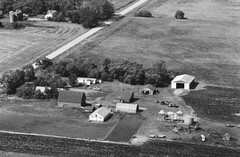 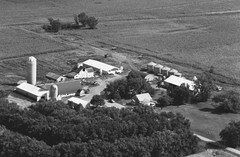 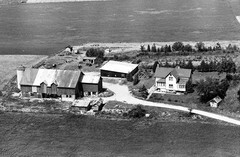 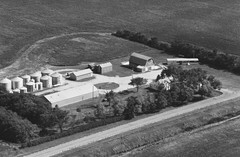 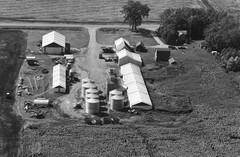 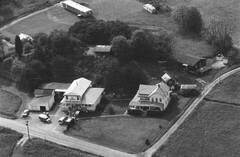 Jorgensen farm. 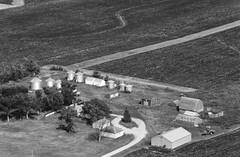 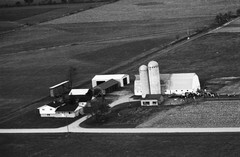 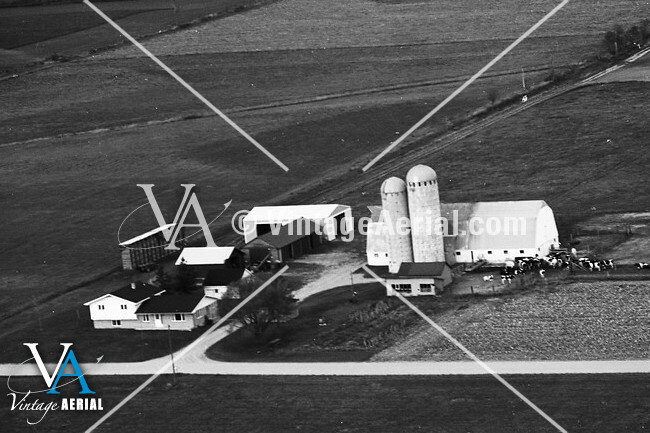 Fond memories of playing in the corn crib on the left, swinging in the hay mow and shooting pigeons off of the silos. 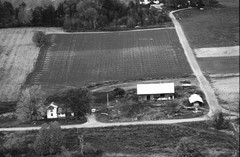 The barn is gone now. 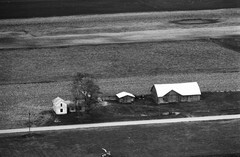 Dismantled by some Amish and re-assembled somewhere else.